Why Did God Choose The Jewish People? Why Did The Jews End Up Dwelling In Egypt? Why Did The Jews End Up In Slavery In Egypt? Were The Egyptians Punished For Their Crimes Against The Jewish People? Was The Deliverer, Moses, A Follower of God Before He Fled From Egypt? Why Did God Deliver The Jews From Egypt? What Was The Deliverer, Moses, Really Like? What Was God's Purpose For Transforming Aaron's Rod Into A Serpent? Why Did Moses Have Power With God? Why Does God Love The Jewish People? Why Did God Say He Loved Jacob And Hated Esau? Why Did God Choose Abraham? How Did Israel Fit Into God's Restoration Plan? What Was The Number One Priority of Messiah's Birth? Why Did The Jews Fail To Recognize Messiah? Why Should The Church Support Israel? 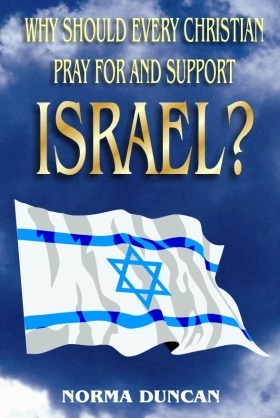 Why Should Every Christian Pray For Israel? What Is The Real Meaning Of The Parable Of The Prodigal Son? Will Those Who Harm Israel Be Punished? What Else Can Christians Do To Help God Vindicate His Name? When Will Israel Finally Be Saved And Find True And Lasting Peace? Soon after moving from Liverpool, England to the United States, at twenty years of age, Norma accepted Christ and grew into a pillar of the Church, holding many different positions, including children's teacher, youth leader, and adult's Bible teacher. Rather than work outside the home, Norma chose to dedicate herself to being an Air Force housewife and mother to her two children. This left her with time to evangelize the Gospel from door to door wherever they were stationed, offering individual Bible lessons to those who made commitments to Christ, and, of course, to pursue her work in whichever Church fellowship she found herself faithfully attending. In 1980, to her great surprise, God called Norma to be the Senior Pastor of The Living Word Church of Niceville, and she answered His specific call. Within three weeks after God's call, He miraculously gave her a church building free of charge in which to begin the ministry. God, in His wisdom, knew that this young woman from Liverpool would eventually become renowned in wisdom and knowledge of the Truth that is in God's Word and be able to express the Truth in a manner that clearly and accurately conveys complete understanding to the reader. As Peter Mahon, an electrical engineer put it: "I wish they would write text books the way Pastor Duncan writes; it would make things much easier to understand." 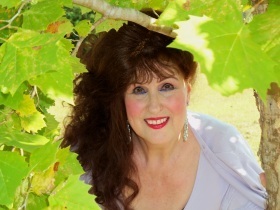 Many believe Norma Duncan is the greatest Holy Spirit-tutored Bible teacher of our time. God knew, when He chose her, that Pastor Duncan would work diligently every waking hour without accepting a salary, and that she would do this in order to make sure that every human being on the planet would have an opportunity to come to know Christ through His Word. While others seek fame, fortune and opportunities to promote themselves, Pastor Duncan was a seeker and expounder of Truth, full of zeal, sincerity, humility, unselfishness, and an example to all. She will be greatly missed. Copyright © 2017 The Living Word Church of Niceville, Inc.